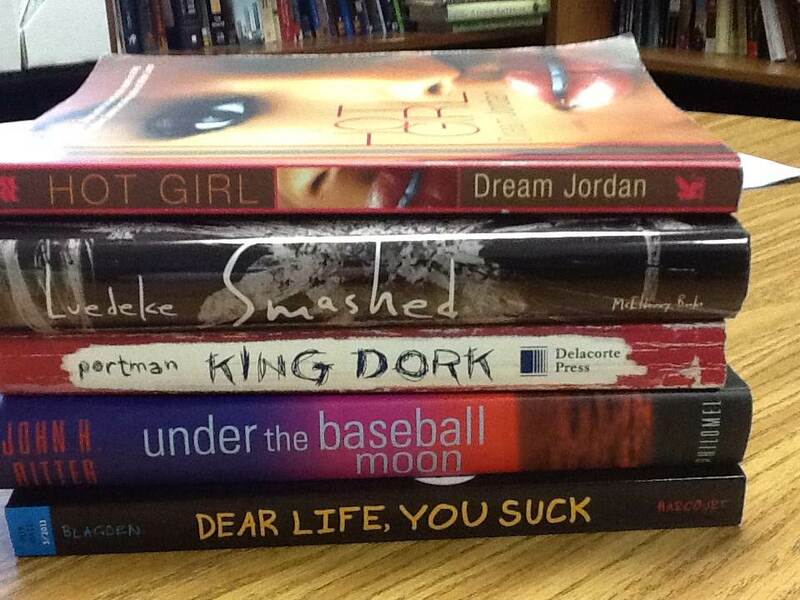 I didn’t carefully read this post Wanted: Any and All Book Spine Poems, but I took the idea and ran with it. 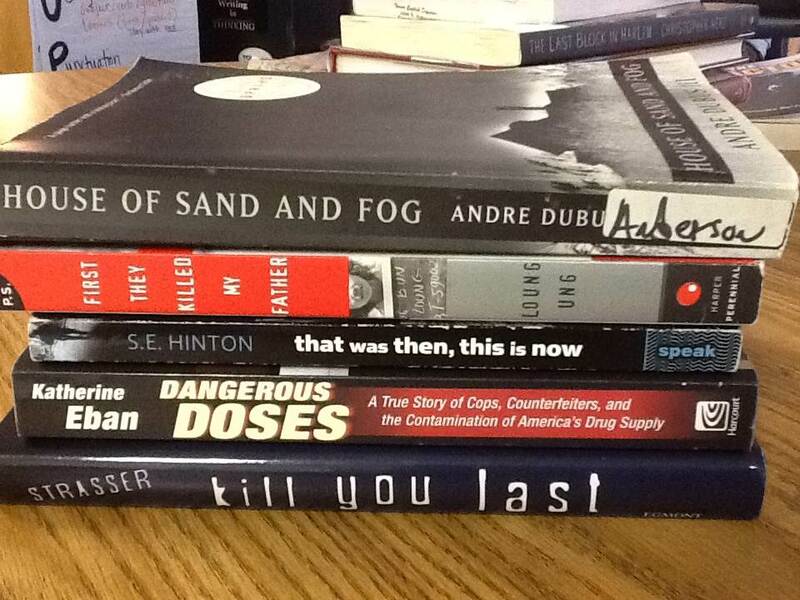 Now, I need to let 100 Scope Notes know about our fun as we kick off National Poetry Month. The Friday before spring break I needed something engaging to do with students whose hearts, minds, and souls were already on vacation. Classes were short, and we only had 35 minutes. 1. 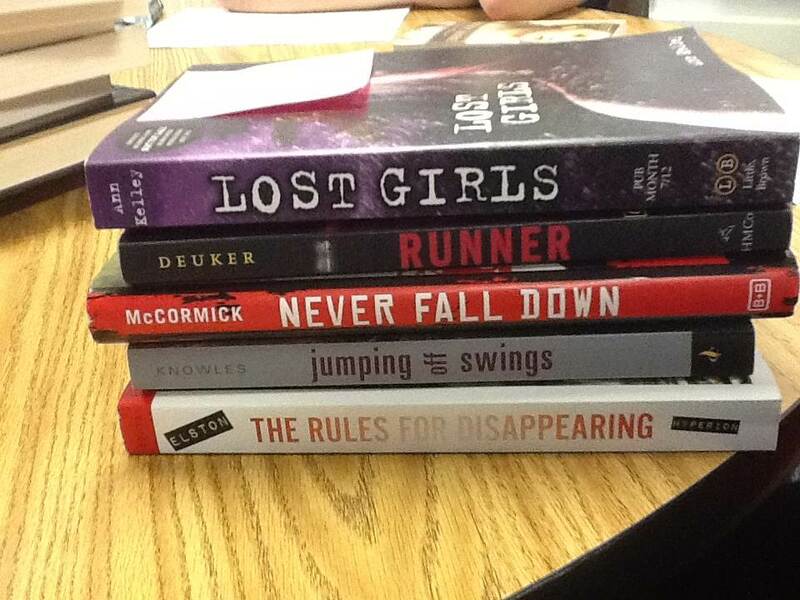 Students had to read book covers–and, BONUS, some kids even checked books out from me after class. 2. 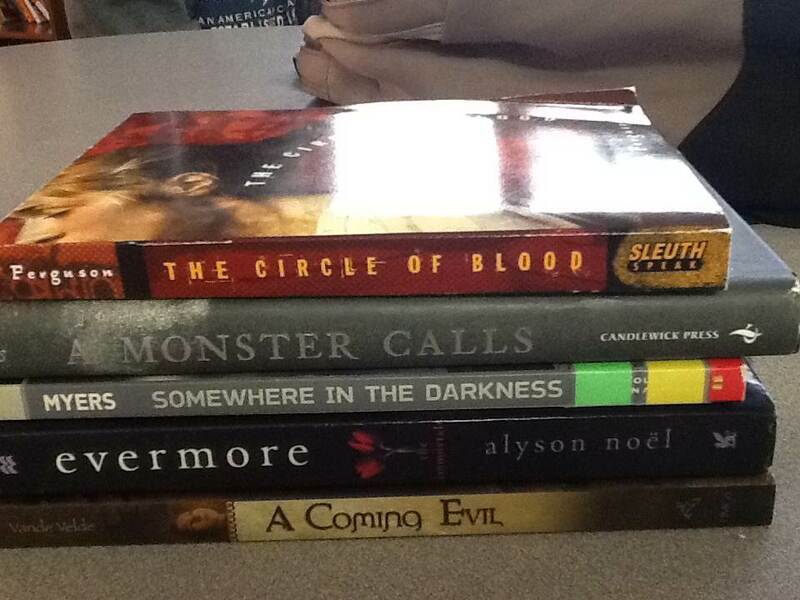 Students had to think about words that would create topics and themes in order for their poems to make sense. 3. Students had to read their poems aloud, making sure that even without punctuation, their poems could be read with some kind of rhythm. 4. 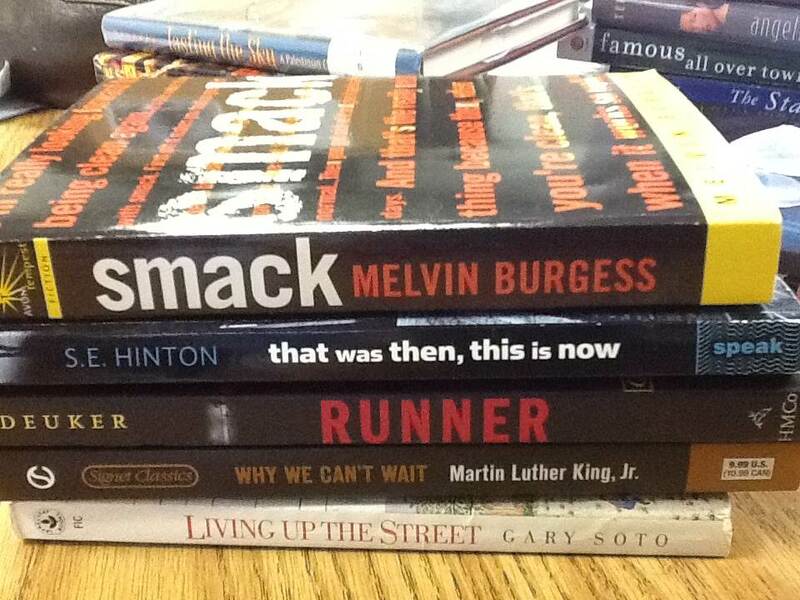 Students got a little introduction to the much more rigorous study of poetry we will do this month. The Process: I have eight round tables in my room. 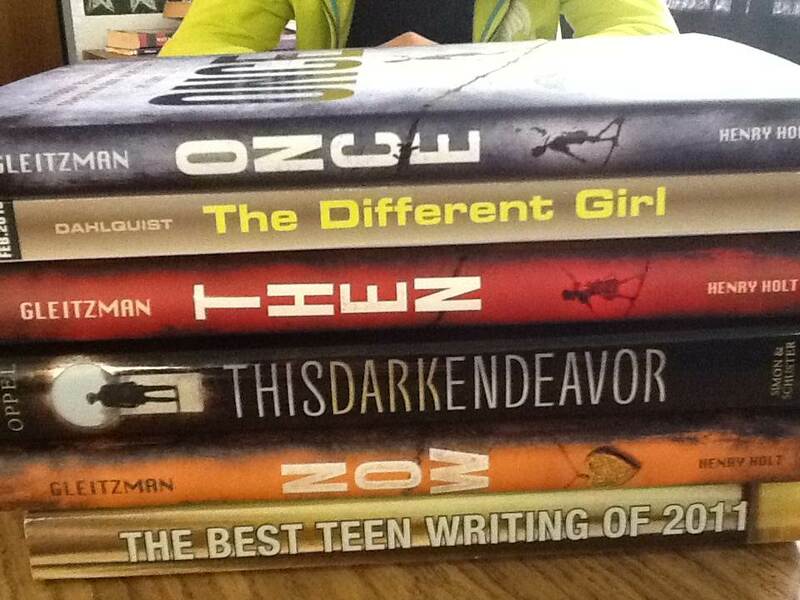 I took a big stack of random books from my classroom library shelves and stacked them on each table. I showed the one model in the link above, and told students to get to work. 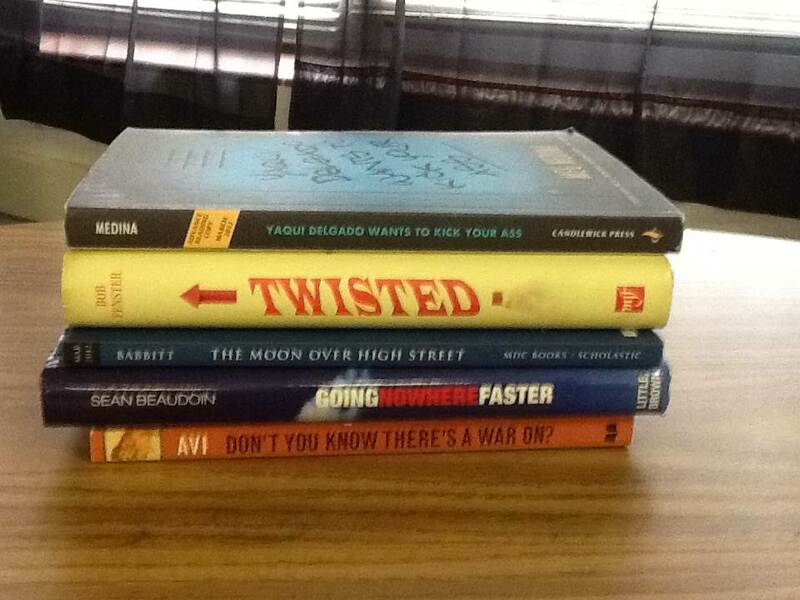 Create a poem, using only the words on the spine of the books. Your poem must make sense–if it has a theme, even better! You must use at least five books. Someone in your group must read your poem aloud to the class. 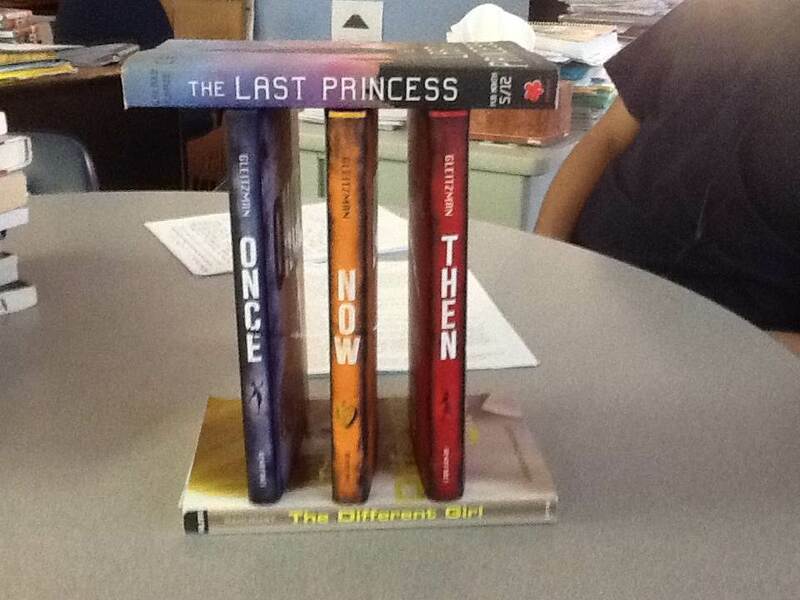 Let me know when you are finished creating, so I can take a picture of your stack of books to show the class. Here’s what my 9th graders created. Some make me proud. So today we began with shape poems. So.much.fun.